I love sweet potato… all the taste but with such a low amount of calories (not that this has ever stopped me before from inhaling high calorie foods :)) and of course… the versatility of this vegetable! Which is why this is the 2nd time we feature sweet potato in our top 5’s… you can see the previous top 5 here. Elien & Robbe of Een Bord Vol impress us with not one, but two gorgeous sweet potato recipe ideas! The first is to make sweet potato crisps while the other is for Healthy sweet potato brownies! While Tine of Tine at Home makes something different but healthy with Sweet Potato Pizza topped with beetroot, goats cheese & rocket! and finally, Sarah of South & Pepper showcases an Autumn inspired stuffed sweet potato. 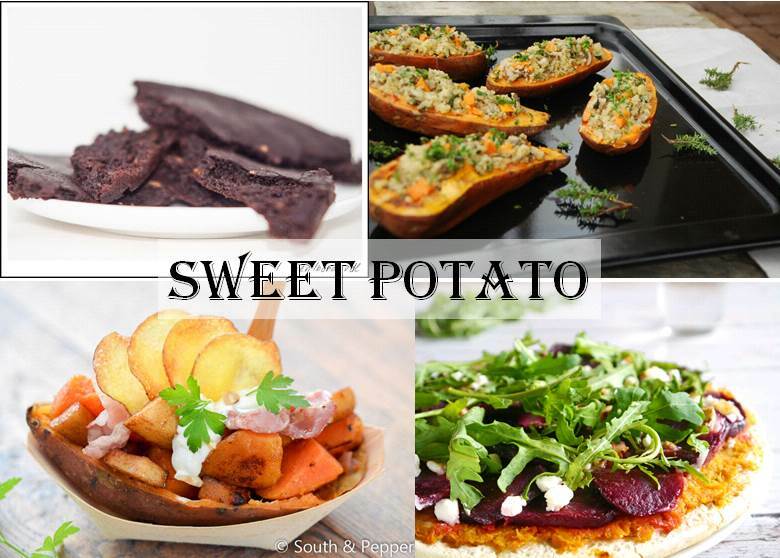 Do you have a sweet potato recipe that you wish to share with us? Just add the link to the comments section below!